10 PLANET VENUS FACTS: Is Venus Really Earth’s Twin? Venus is named after the Roman goddess of love and beauty because long ago, astronomers believed it shined brighter than any other planet. Even nowadays, astronomers call Venus “Earth’s twin” because of their similarities in size, gravity and being made of similar material on the surface. 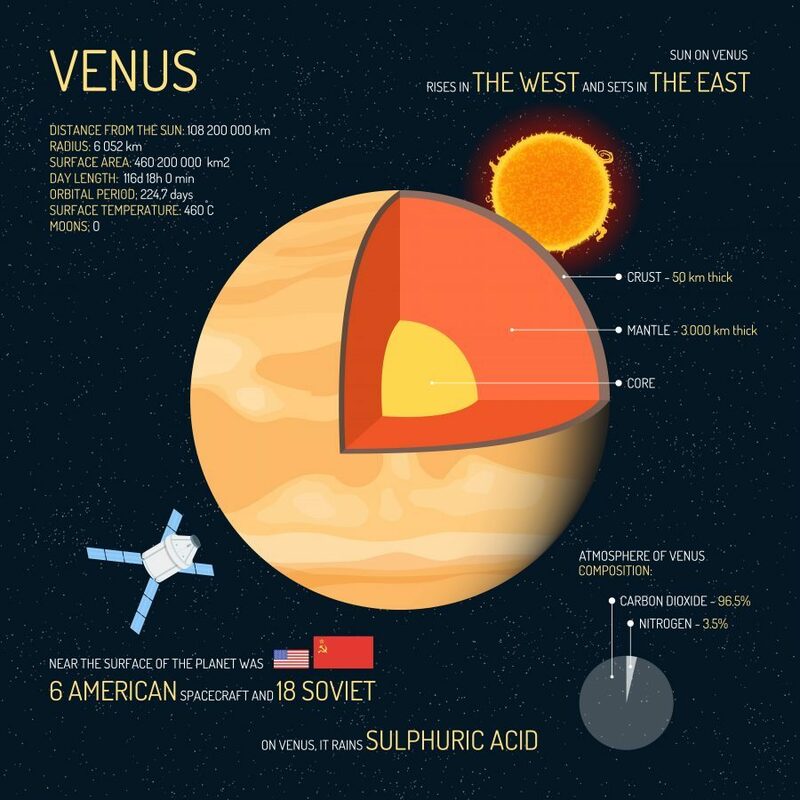 Venus clouds have droplets of sulfuric acid, so for the most part we can’t see the surface due to the clouds thickness. But spacecrafts like Pioneer, Venera and Magellan use radar mapping to see it. 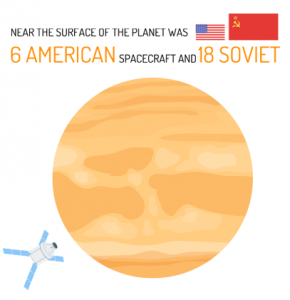 The United States and Russia have explored the harsh and hellish conditions of Venus the most. This includes flybys, orbits and landings on the Venusian planet. No humans have ever landed on Venus. Not only would we be squashed due to the immense pressure, but it’s atmospheric gas would suffocate us making it inhospitable for humans. In terms of size, Venus is like a twin of the Earth. It’s radius is 6025 km which is about 95% of Earth’s radius. If you look at volume, Venus is about 86% of Earth’s volume. Gravity on Venus is about 90% of Earth’s force of gravity. That means that you’d weigh 10% less. Because it has a large gravity like Earth, it also has an atmosphere like Earth. 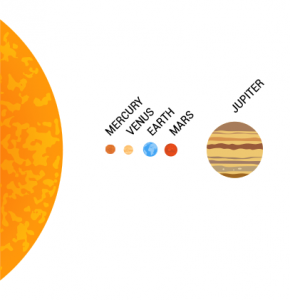 Actually, all the terrestrial planets are all small and dense. For example, planet Mercury, Venus, Earth and Mars are essentially made of the same stuff. One of the biggest differences between Earth and Venus lies in their atmospheric compositions. Because there’s volcanism, we know there’s carbon dioxide on Venus. While Earth’s atmosphere contains only 0.04% carbon dioxide, Venus’s atmosphere is filled with 96.5% carbon dioxide. 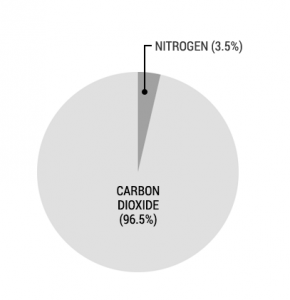 As we can observe in Earth, carbon dioxide warms the atmosphere and accelerates the greenhouse effect. So this is definitely the case on Venus. Like Earth, sunlight heats the surface. But the heat is contained because of the clouds and carbon dioxide preventing it from escaping. And with pressure at the surface on Venus is 90 times the pressure of Earth’s atmosphere. This is because it has more mass in its atmosphere than Earth. Venus has an iron core and probably even liquid iron outer core. But Venus does not have a magnetic field. You need a magnetic dynamo to generate a magnetic field so this means you need rotation for a coriolis. As you go down into the core, the outside part of it is actually liquid flowing much like water. But any liquid part of its core isn’t rotating fast enough to generate a measurable geodynamo and global magnetic field. Because of its glowing appearance (surface temperature of 460°C), the Romans named Venus after the Roman Goddess of Love. Even Venusian craters, mountains and it’s volcanoes are named after past female figures including Cleopatra, Mona Lisa and Curie. 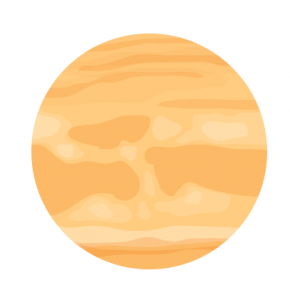 Most planets rotate in the same direction. But Venus doesn’t. It hardly rotates at all. For example, a day length is 116d 18h 0min. If you lived on Venus, the sun would rise in the west, and set in the East. And it counter rotates once in every 230 Earth days. On Venus, one full rotation is 243 days compared to Earth’s 24 hours rotation. But its orbital period is 224.7 days. So this means that a Venusian day is longer than its year. Venus and Mercury are the two only planets in our solar system without moons. They both don’t have rings either. In the distant past, Venus may have had a moon. But it’s believed that Venus would have absorbed one of its moons. Also, because Venus is in closer proximity to the enormous sun, the sun could have swallowed up any smaller object like a moon. 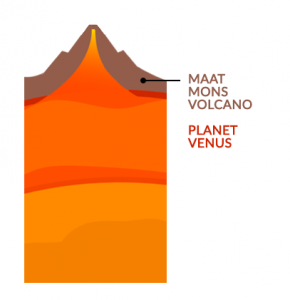 Venus has volcanoes but not too many. Its craters show signs of flooding of lava. For example, Maat Mons volcano is 8 kilometers high. 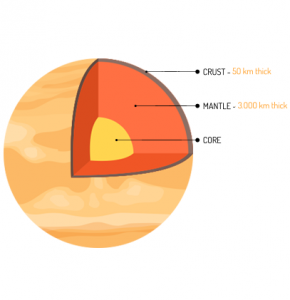 But Venus has no sign of plate tectonics. Because Venus doesn’t have water, that means it doesn’t have an asthenosphere. It was the asthenosphere that’s vital to have plate tectonics. The asthenosphere is the plastic layer that provided the lubrication in the mantle to allow the stiffer plates to move over. Without water, there’s no asthenosphere. Without an asthenosphere, no plate tectonics. There is very little possibility that Venus could harbor life. This is primarily because it doesn’t have liquid water and it’s close proximity to the sun. It’s scorching hot so no humans have ever attempted to land on Venus. Pressure is intense and the gas would suffocate humans any human. Despite clouds made of sulfuric acid, there are microbes capable of sustaining in these extreme conditions. So the possibility that no life exists on Venus isn’t completely off the table.